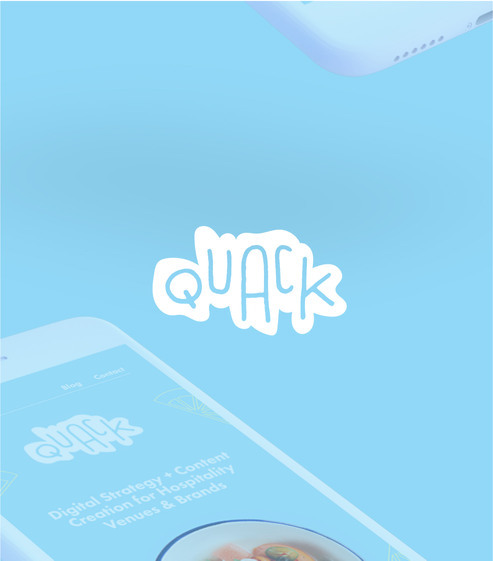 DigitalXRAID | Lucky Duck - a digital agency in Leeds specialising in responsive web design, application development and branding. 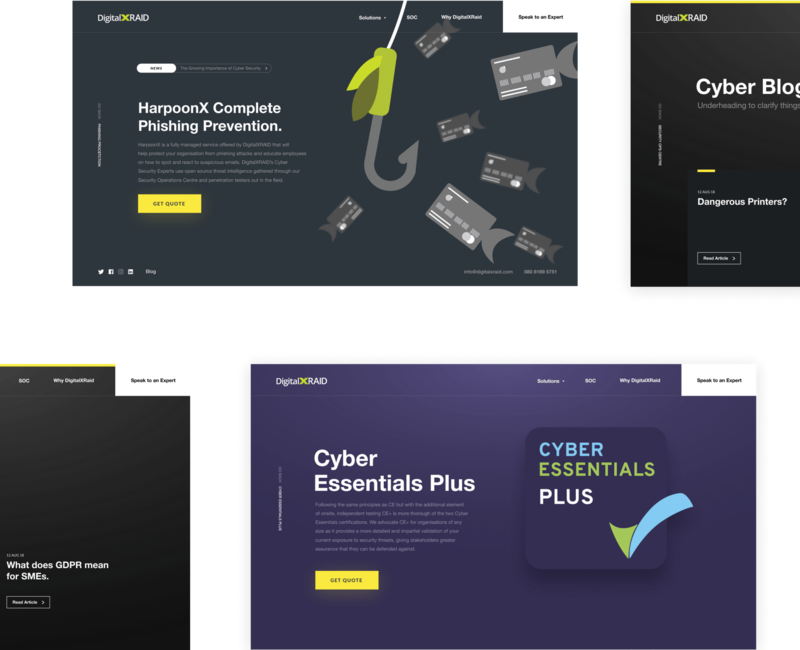 We were asked to create a brand identity and marketing website for a leading cyber security company and optimise all their PPC landing pages to increase their conversion rate. Mission Accomplished. DigitalXRAID came to us with a brand that wasn’t inline with the quality the of their business proposition and a huge monthly pay-per click spend with a dismal 0.5% conversion rate. We carried out user research and discovered how we could rebuild the website to increase conversions, which led to a full web and brand redevelopment project. Campaign conversion rate increased by 600%, a partner portal and a rebrand which is consistent with the quality of their services. DigitalXRAID is a cyber security startup committed to providing the very best in top to bottom security solutions. 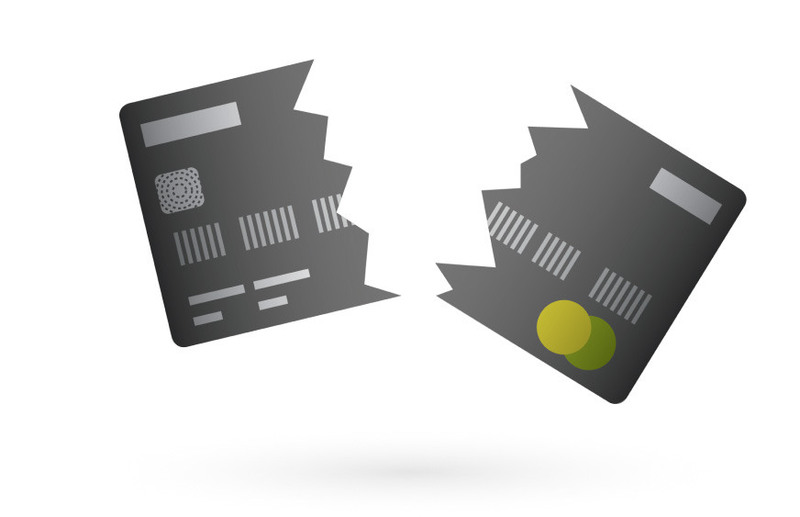 They strive to keep your business secure and running smoothly. Since the passing of GDPR, the demand for the services DigitalXRAID provides has exploded. This sudden uptick in demand meant they were left with a boot-strapped brand that lacked cohesion and a website that wasn’t converting on a very high monthly pay-per click spend. Taking stock with a user experience audit. DigitalXRAID highlighted two key issues within their business; the inconsistency of their brand and low conversion rates on product page campaigns. We started out with a user experience audit. By first conducting thorough competitor analysis, creating user personas, creating wireframes. We minimised risk and set the project up for success. For a business that positions itself on the cutting edge of the latest technology, the visual brand must be inline with the same messaging. Digital XRaid’s old site was dated and in dire need of an update. Using the insights collected during the discovery stage, we revamped their brand identity and created something that their customers, old and new, would love. For any online technology business, their website acts as a digital shop window. It must be striking but clear, engaging but manouverable, informative but accessible. 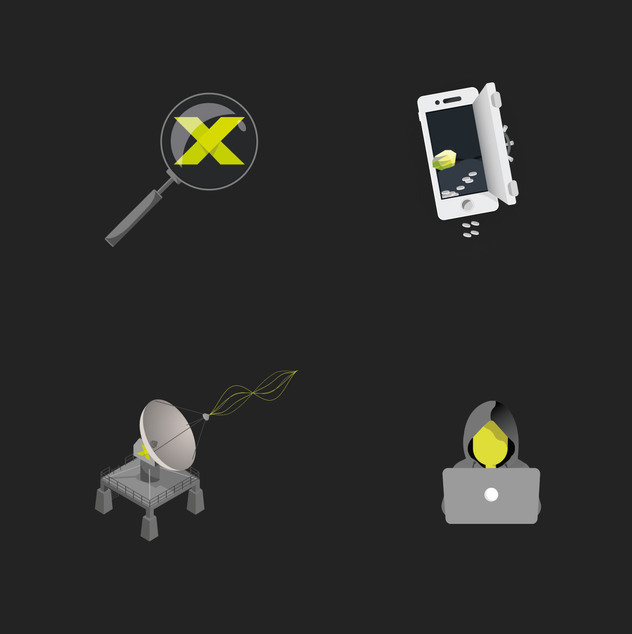 We worked closely with Digital XRaid to create something that ticks all the boxes. See below. 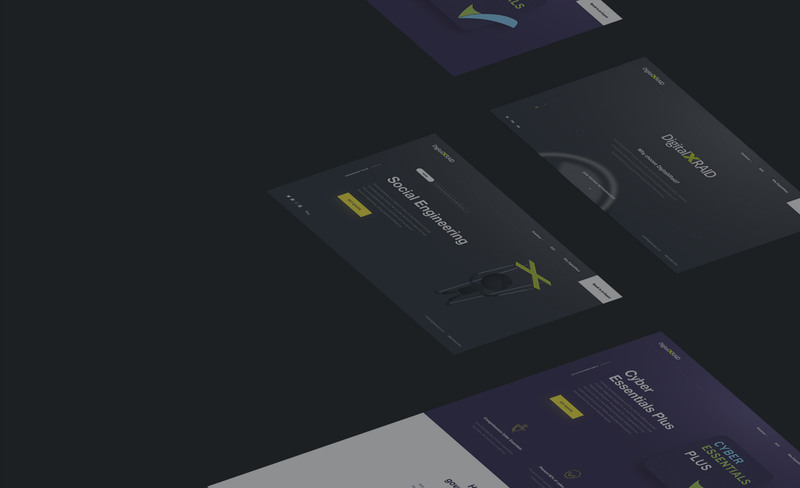 Explore some of the key screens from the full 40+ page web development project. Every site in 2019 has to be responsive, as Lucky Duck we make sure the mobile version is optimised specifically for touch screen devices and 3G performance. We worked on the cyber essentials and penetration landing pages and increased conversions by up to 600%. 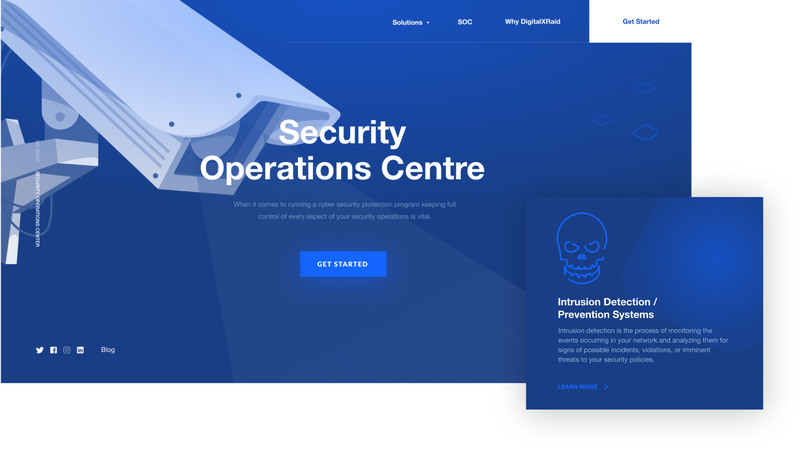 We helped build a micro-site and sub-brand identity for their new Security Operations Services offering. They wanted this to have the familarility of the DigitalXRAID brand but with an enhanced premium feel for enterprise customers. We sat down with the directors over a few cups of tea and had some great conversations crafting a new tone of voice and created all of the copywriting for the website and core brand. We built a custom partner portal which has a secure login system and generated dynamic content for DigitalXRAID’s most valued business partners.